Why Is Driver.U-bill.com On My Credit Card Statement? Driver restore can be purchased online through the official website that ensure, the users are able to make safe and secure online purchases. 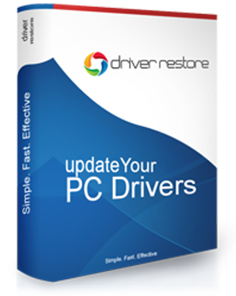 Driver.U-bill.com payment portal ensures that the purchasers as well as the sellers experience a risk-free environment for buying and selling PC utility program, Driver Restore. The portal basically forms a link between the user, seller and the banks. After a purchase has been made and payment has been done, the concerning purchase bill is mailed to the user to ensure successful order placement and payment. Also, if a purchase has been made through Driver.U-bill.com (as the payment gateway), the user’s credit card statement will include an entry of Driver.U-bill.com. On the contrary, most users are afraid of carrying out online credit card transactions. They are concerned regarding sharing their credit card details and also scared of falling prey to online frauds, e-mail phishing and identity thefts. Driver.Ubill.com ensures that strict standards are followed for the safety of the users so that they don’t face inconvenience. Also, the provided credit card details are managed in a way that they can’t be misused. The user can avail a 24/7 customer support services for their concerns and queries. Also, the user can easily track the order status through the website and can obtain details or bill of the previous purchase on the website. The website assists the user with an easy refund policy within 60 days of the purchased order if they are dissatisfied with the working of the software.